YOU DON’T OWN ME, GIRL SCOUTS!!! There is no shortage of versions of this recipe all over the Internet. I found about 5 or 6 during my initial search. Want to try a low carb and gluten free version? 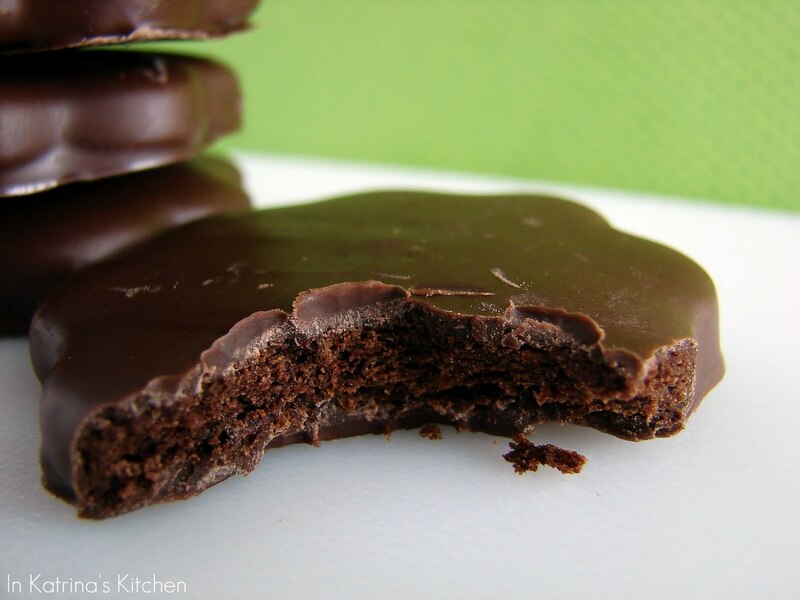 Love Thin Mints and do you want them all year round? You can really make these at home and the results are outstanding. I hope you try! I hadn’t planned on taking pictures throughout the baking process with these but I didn’t think you would believe me that this recipe really will turn out if you give it a try. Just look at how crumbly this dough was at first! I was starting to have my doubts. But press on and you will be happy you did! Chill, roll out the dough, cut out the cookies, bake, then dip! The rolling out can be tricky as it is crumbly. I used wet hands at times and even microwaved the dough for a few seconds before working with it. Next time I may not even chill the dough at all. I found these dark chocolate mint candy melts at Pat Catan’s. You could use chocolate chips and peppermint extract too. Cookie dough: In a mixer cream the butter until it is light and fluffy. Add the powdered sugar and continue to cream, scraping the sides of the bowl a couple times if necessary. Stir in the vanilla extract, salt, and cocoa powder. Mix until the cocoa powder is integrated and the batter is smooth and creamy, resembling a thick frosting. Add the flour and mix just until the batter is no longer dusty looking but still a bit crumbly. Turn the dough out onto a clean counter, gather it into a ball, and knead it together into a nice, smooth mass. Divide the dough in 2, flatten into disks, and wrap in plastic wrap. Chill for 15 minutes. Rollout and bake: Preheat oven to 350. Roll dough out really thin, about 1/8-inch. These are called thin mints after all. You can either roll it out between two sheets of plastic, or dust your counter and rolling pin with a bit of flour and do it that way. If the dough is too firm to roll you can microwave it for 5 seconds. 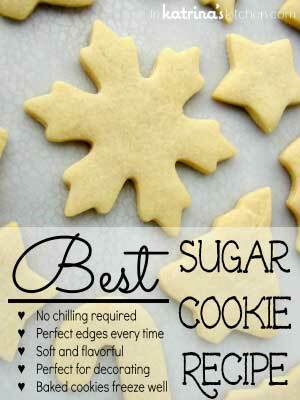 Cut out cookies and bake for 10 minutes. Remove the cookies from the oven and allow them to cool completely on a wire rack. 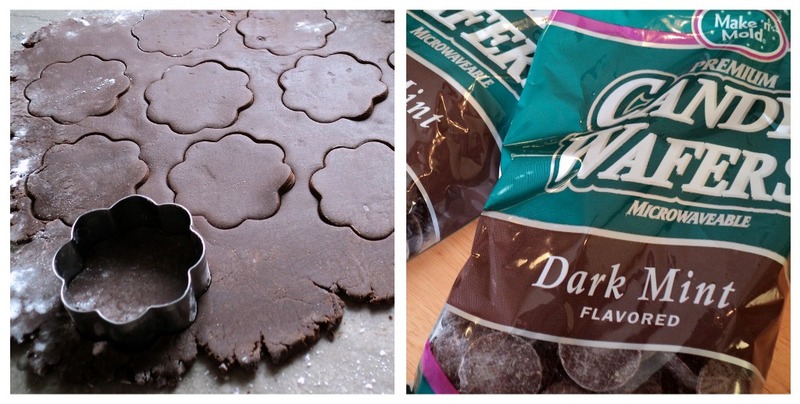 Make the peppermint coating: Meanwhile, prepare your chocolate coating. Using a double boiler, slowly melt the chocolate, stirring occasionally until it is glossy and smooth. You can add 1 tablespoon of shortening if your chocolate is too thick. Alternatively, use a microwave in short 15-20 second bursts to melt the chocolate. Stir in the peppermint extract if you don’t have the mint candy melts. Finishing the cookies: Using a fork gently drop the cookies one at a time into the chocolate coating. Flip to coat all sides. Lift the cookie out of the chocolate with the fork and bang the fork on the side of the pan to drain any extra chocolate off the cookie. You are after a thin, even coating of chocolate. Place on a parchment lined baking sheet, and repeat for the rest of the cookies. 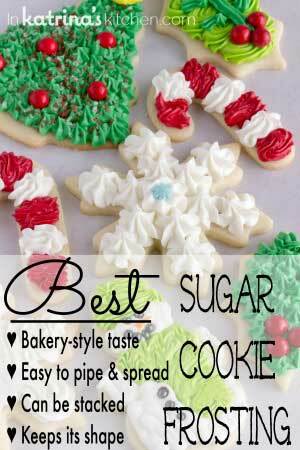 Place the cookies in the refrigerator or freezer to set. I can almost smell the chocolate-mint through the screen. These will be printed and baked because I must have fallen off the Girl Scout radar for good. Didn’t get even one sales pitch this year from a neighborhood girl or co-worker’s daughter. You must share where you found the dark mint melts. Ooooh these look amazing. Thin Mints are my favorite flavor of Girl Scout cookies (anything mint chocolate and I’m there!). Can’t wait to try these!! Angela – I found them at a store called Pat Catan’s. I imagine you could find them at JoAnnes, Michaels, etc. 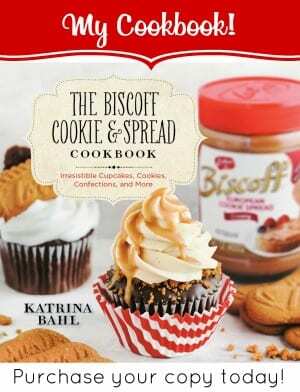 I am really loving all these Girl Scout recipes lately! I definitely need to make some of these. Yum! As I was reading your recipe the wheels were turning… I could totally make these gluten free, totally, totally. I haven’t had a girl scout cookie in years, I would do anything for the taste again! Deelish! I could eat every single one! Are you trying to put those cute little girl scouts out of business, with your yummy cookies! LOL These are my second favorite kind. Your cookies are simply incredible, I can just taste the mint and the chocolate melting in my mouth! Irresistible! Oh no you didn’t! These are my all-time favorite girl scout cookies…and I didn’t order any this year…and now you posted this recipe! Its as if everything happens for a reason! oh wow, katrina – these look SO good… and that’s coming from someone that doesn’t really like anything mint-chocolate! my husband on the other hand… =P beautiful photos! These are definitely my favorite girl scout cookies! I can’t believe how perfect your cookies look. I’m thoroughly impressed! Thanks for linking to my gluten free version. Yours look gorgeous! Saw them on Foodgawker this morning! I couldn’t believe that I FINALLY made it on Foodgawker!!! I was super-excited!!! Wow, those turned out beautifully! Do you have any tips on how to dip the cookies so they’ll turn out that well? Gotta love recipes that are pretty, tasty, and easy to boot! Great job. I’m making these soon! Hahhahaha…great post. 😉 These look so good. Mary – I added about a tablespoon of Crisco to the chocolate to make it smooth. I think it added a nice sheen. Then I just used two forks and passed the cookie back and forth until enough chocolate dripped off. I kind of can’t believe how easy these were to make! I LOVE LOVE LOVE thin mints. You make it sound so simple (i like that). Thank you for sharing. Oh my – you did it again! These look wonderful!!! LOL! You don’t own me girl scouts!!! Those look WAY better than GS cookies! Excellent!!! Ooh! I love thin mints. These look wonderful and great post! Love the scalloped edge! I’m going to try these and your Samoas. Can you re-make all of the girl scouts cookies? I’ll be your best friend? 🙂 These look great, i’ve got to find those mint candy melts! Katrina these look awesome! Nice job! After the Samoas, they are always first, these are my favorite! I simply adoooore the thin mints… and yours look fabulous! Katrina. These photos are beautiful! I’m gonna need some tips, girl! Congratulations on the Food Gawker shout out – totally deserved. p.s. I don’t even LIKE thin mints, and my mouth is watering. 😛 Seriously. Mint and chocolate is by far my most favorite flavor combination. I could eat anything with mint and chocolate all day, every day! Wow, these look so pretty and so tasty…chocolate and mint are a great combination :-)Love the flower shape! Yum! Those look better than the actual Girl Scout cookies!! Congrats on Top 9. 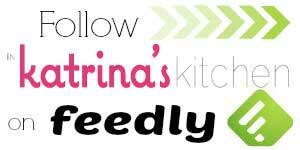 I’ve been looking for a Thin Mint recipe and I trust you, so yours will probably win! wo these look super! congrats on your top 9! I was thinking this should be there! Great post and my favorite Girl Scout Cookie. I ordered one box back in October and it seems that the cookies have really shrunk while the price continues to rise. Girl Scouts don’t own me now either LOL! what a deliciously clever idea! thanks so much for sharing. I was eating the real thing last night and was thinking to myself that I would love to be able to make these, thanks for this lovely recipe! Well done!! I love that this is “healthier” than the GS version. I so wish they would take out the hydrogenated oils from all of their cookies. I had a hard time having my girls sell something that I had preached at them to never have. But you gotta love the Think Mint. Great job! I agree with Kim. Thank you for this recipe! Have always been my favorite G.S. Cookie! But if I make them i will have to hide them from my kids and husband!!! Oh my gosh, I want to give you a big hug. In a house full of boys, I’m not rewarded during Girl Scout season and this year, I’ve been searching high and low (why is it kids won’t come door to door in San Francisco!). I love that you have just unlocked the Girl Scout handcuffs, thank you! I would like the peanut butter one’s now please:) YUMMMMMMMMMMMM!! Good job!! What a professional job on the cookies. These look amazing! The Girl Scouts would make a real killing with these homemade beauties. I’ll take two boxes. wow! they are so professional looking too. YUM! And I love the adorable flower shapes! How creative! i love that you have a home-made variety!! How delicious! congrats on top 9 ! The cookies are looking just heavenly, cant resist to try some. Love the addition of mint, it makes it more awesome ! I am so proud of you!! Very nice recipe. I hope you are at top 9 every week!! This looks so much like the REAL DEAL except without all the preservatives! Thank you for sharing! These look so wonderful! WOAH! Thank you all so very much! I’m glad you like this recipe. I can’t say thank-you enough! What an adventure today has been!! First of all Congrats on making the top 9!!! Now lets get down to business! Your cookies look amazing! I will be making these this weekend because I did not buy any thin mints yet and I NEED Chocolate mint cookie yummyness now!!! 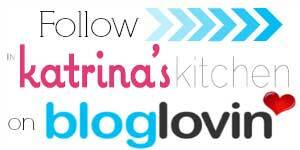 🙂 I am glad to find your blog! Looking forward to future posts! Becky Sue @ BS Cooks! This is dangerous. The once a year opportunity to buy thin mints was the only thing allowing me to fit into my skinny jeans! Great recipe, so gorgeous, yay for top 9! Beautiful cookies! Congrats on the top 9, these sound 100x better than storebought! How absolutely gorgeous! The sound amazing! I would love to try making these! Have a lovely weekend, Katrina! Looks great. You could have these for St.Patty’s Day. I totally know how you feel. Unfortunately I caved and got some. One of my all-time favorite Girl Scout cookies! Oh you are on a Girl Scout cookie roll! Love it!! And I like this version too because I know so many people who I can make it for and I know they would love it! I have made do-si-dos and Samoas, but I have yet to attempt the thin mints. Your version looks spot on perfect. Your cookies look so professional!! Love them. ugh, I can’t tell you how badly I would love a few of these right now! yum! Wow good for you for making these from scratch. I just made some cupcakes inspired by this type of cookie. Looks yummmmy! Perfect little cookies! 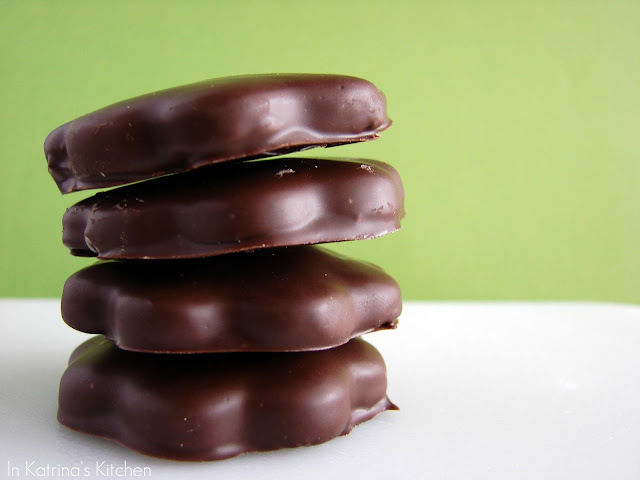 I made some homemade thin mints last year.. they’re so easy! lovely scalloping 🙂 saving to my online recipe keeper (http://cookmarked.com)! Wow these look great! I cannot wait to try them. Great blog! Amazing! I missed Girl Scout season, and this totally satisfied my craving! Baked them and they were an instant hit with the fam! Thanks so much for the recipe! In the process of making these right now for a friend that was lamenting the lack of GS Thin Mints available in the summer, and I seem to have a bit of trouble with the dough. I had a really hard time getting it to roll out smoothly – it just kept wanting to flake up, even though it wasn’t crumbly. After finally getting them all rolled, cut and baked, I’ve noticed that a good number ended up with hollow bottoms, again seeming to be a result of the dough being rather flaky. Any thoughts on where I might have went wrong? Or do these just need a cooler (i.e., not un-air conditioned in July) kitchen to get the butter to cooperate? Thanks! Dough was crumbly and flakey and i just could not get it to roll out lol. I was so excited to make these. For the ladies who had trouble rolling the dough out, my dough came out nice and moist. I creamed the butter for a while, so I think that kept the dough moist. I also layed one sheet of clear wrap on the counter, put some dough down, and then added another sheet and I started to roll and that really worked nicely. It was so easy to cut them out. I did not have a cookie cutter so I used the top of my ground cinnamon jar. I figured a spice that wouldn’t affect the taste of the cookie was cinnamon. My only issue is with the cookie itself. The cookie tastes really bad without the mint coating. They taste like pure cocoa powder. It did not taste like a cookie. There’s no way I would have served them alone. I melted my mint chips and it made the cookies better but they taste like powder. I used exact measurements. What would you suggest? I just made the thin mints but used only a 1/2 cup cocoa instead of 1 cup and added 1 Tbsp milk and 1/2 tsp peppermint extract to the dough. This kept the dough together wonderfully. Covered them with melted mint chocolate chips. I also rolled them out between wax paper. These make my Ritz Crackers dipped in mint chocolate look so basic (they are so good and so easy) (recipe here: http://www.abusymomoftwo.com/2008/07/cookies-virtual-cookie-exchange.html). I just might have to try this version too. They look awesome. Just tried these! Am letting them cool now and will attempt to coat them in the peppermint chocolate, although I have a feeling most of them are going to end up crumbling. The dough came out pretty dry, but they taste exactly like the cookie! Next time might add a tsp of water or melted butter just to make sure they stay compact enough to handle. I see I’m not the only one with this issue, so all we can do is try again because they are just too tasty not to! I just made these. I didn’t have trouble with dough, but baked cookie had such a strong chocolate flavor to it that no one will eat them. It is like eating unsweetened cocoa powder in cookie form. Has anyone else had this problem? I even added almost a cup of extra pwd. Sugar trying to make them sweeter. I want to make again and tweek, but wondering if it will mess with the consistancy of the dough. Yah pretty sure there isn’t dark chocolate in those cookies!!! so tell me how your recipe deals with the bitterness of the dark chocolate? As with many others, my cookies were very bitter from so much cocoa powder. Suggestions to correct this issue without altering the density of the cookie? Also, the cookie was a little too soft, needs more of a ‘crunch.’ I threw about 2 dozen cookies away and didn’t even finish cutting out the dough. They were terrible. Really would like to hear your suggestions on how to correct the bitterness. I have to tell you, adding the mint extract to the regular chocolate did not work at all for me. The chocolate had melted well, but as soon as I added the mint, it thickened instantly. I tried again, adding the mint at the beginning and melting it all together…I achieved something around the consistency of peanut butter, which I had to spread with a knife onto the cookies. 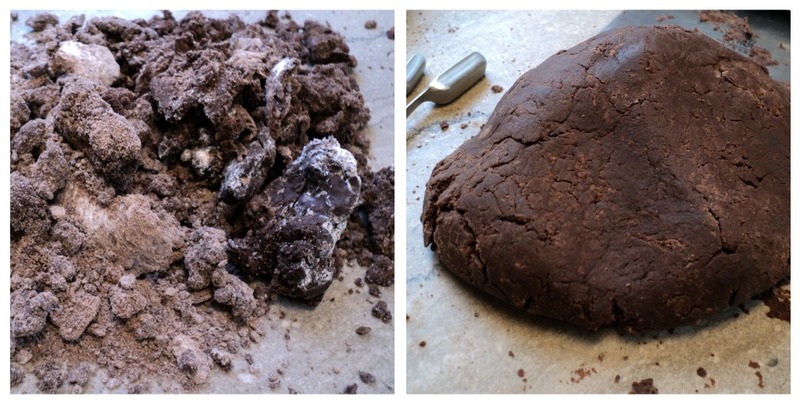 So yeah…regular chocolate + mint extract = big fail. I’ve made this recipie twice now in two days. Two thumbs waaaaaaaay way up. Thanks for sharing!